Today we’d like to introduce you to Nate Piper. Nate, can you briefly walk us through your story – how you started and how you got to where you are today. Growing up in Seacoast New Hampshire, I got my first taste of boats and sailing working at local boatyards and marinas hauling and launching boats, scraping and painting bottoms, and sailing aboard friends’ boats. 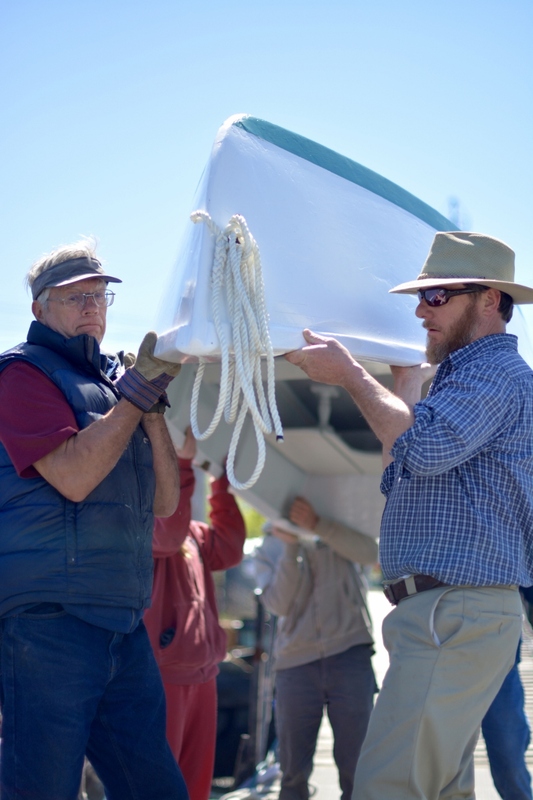 I ultimately channeled my interest in all things maritime into the boat building and design program at the Landing School of Boat Building and Design in Kennebunkport, Maine. Over the past 20 years, I’ve been involved with boats of all shapes, sizes, and ages. I’ve always had an interest in historic vessels and have been fortunate to have worked with and for some very talented boat builders and shipwrights up and down the East Coast. 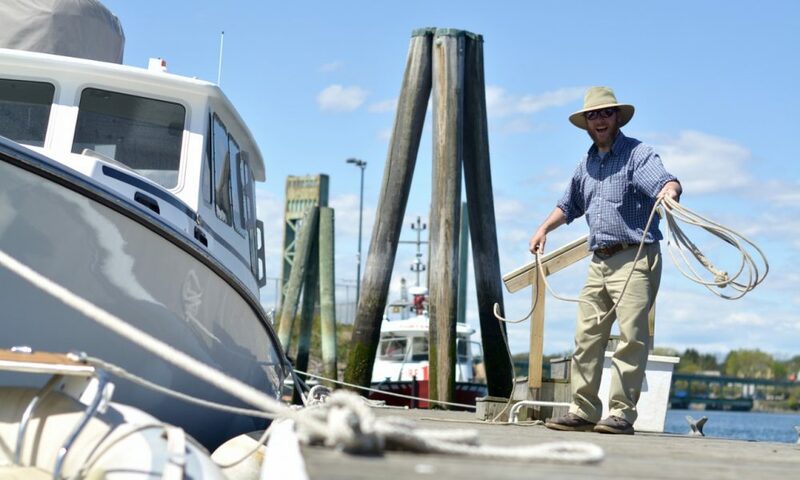 In addition to running my core business, Piper Boatworks, I was the project manager for the construction of the new gundalow Piscataqua, which launched in 2011 in Portsmouth, NH. I also worked on the rebuilding of the Boston Tea Party ships in Gloucester, Massachusetts; worked with Harold Burnham on the construction of the Schooner Yacht Isabella in Essex, Massachusetts; and worked on the construction of the Kalmar Nyckel, Delaware’s Tall Ship. Many years ago, I sailed aboard the HMS Bounty as crew and ship’s carpenter, and I both sailed as crew and worked on a major refit of Martha Lewis, an original Chesapeake Bay skipjack. Most recently, my passion for the craft and the history of boat building led to the formation of The Boatshop at Strawbery Banke in 2016. Nearly simultaneously, I also had the opportunity to revive one of the Seacoast regions most well-known boat designs—the MerryMac sailboat. What I have found about owning my own business and working for yourself is that the road is your own creation. You have the power to define and lay down the path you will take. But of course, you are also the road crew responsible for the potholes that appear along the way (sometimes as a result of the decisions you made). It’s not so much the inevitable bumps in the road that are the biggest struggle for me. Rather, it’s deciding what NOT to do each day. Ideas generate more ideas. Initial conversations lead to expanded conversations. Introductions prompt more introductions. One connection strengthens another. Balancing being a creative, big picture thinker with getting the work done constantly tests the limitations of time and energy. It’s something I work on every day. So let’s switch gears a bit and go into the Piper Boatworks story. Tell us more about the business. I suppose like many entrepreneurs, I have a lot of irons in the fire. 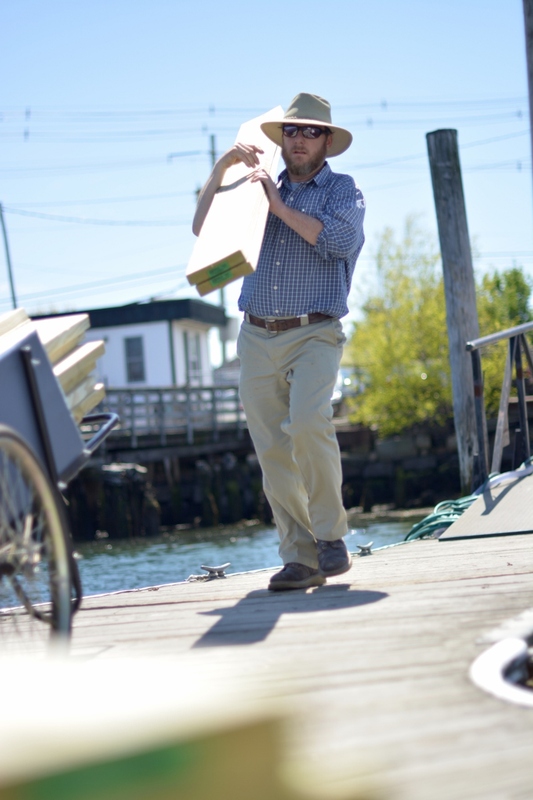 My core business, Piper Boatworks has focused on boat construction and repair for the past twenty years. But it’s our two newest initiatives that I’m most proud of—the revival of the MerryMac sailboat line and the opening of The Boatshop at Strawbery Banke. Famed New Hampshire designer/ builder Edward “Ned” McIntosh produced an estimated 200 MerryMacs between 1953 and the late 1960’s. 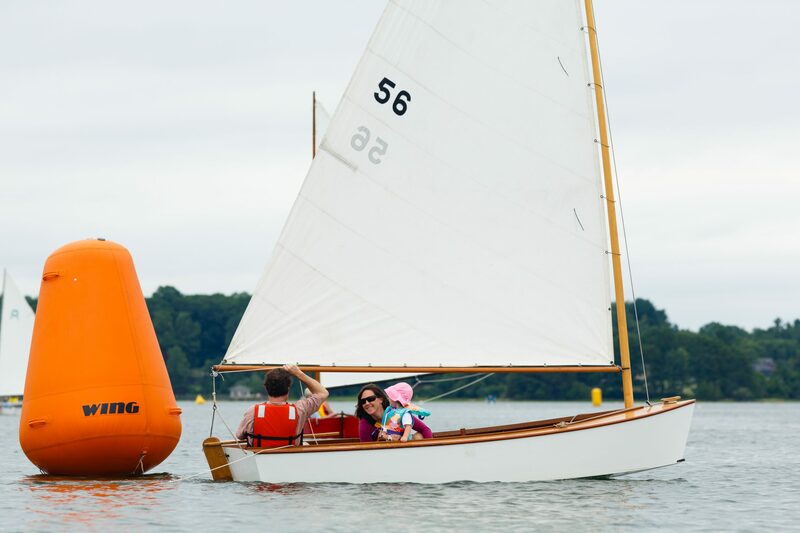 The design and construction of these beloved watercraft have stood the test of time, with many of the original numbered fleets still plying the waters along New Hampshire’s Seacoast and beyond. 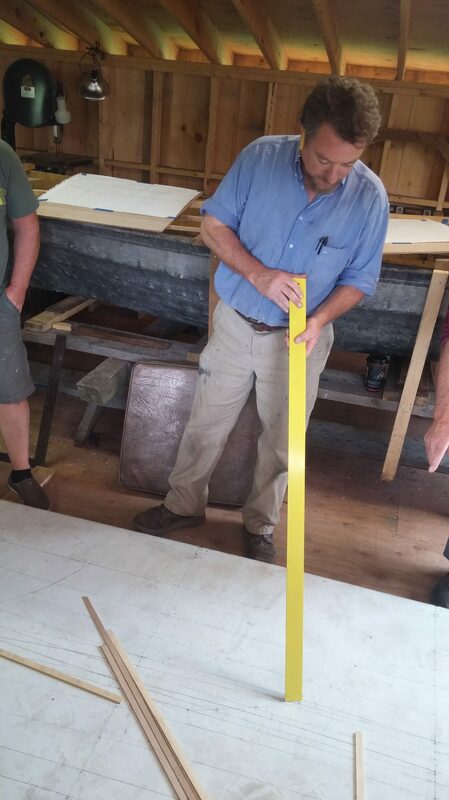 Piper Boatworks builds new numbered wood and fiberglass MerryMacs using Ned’s original building molds and patterns. We also offer replacement parts and components for the 200 numbered originals currently in circulation. 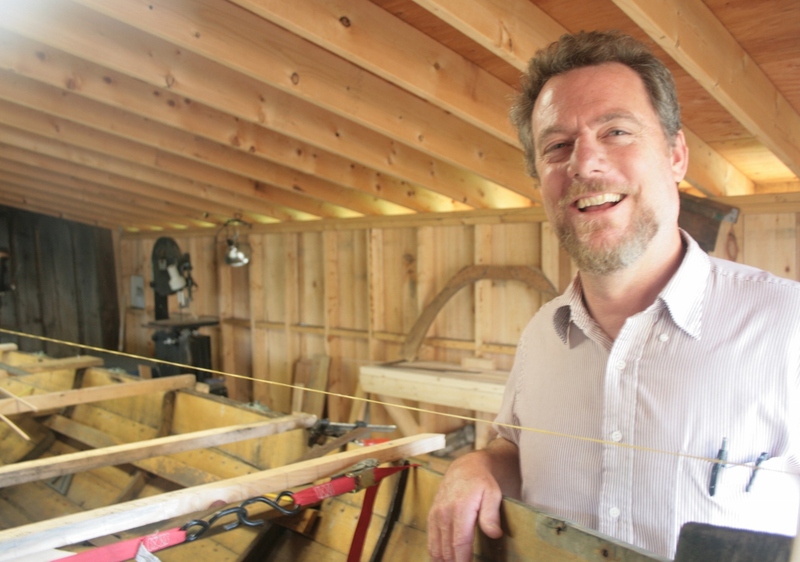 The Boatshop at Strawbery Banke, which opened in 2016, is a collaboration with Strawbery Banke Museum that explores and celebrates maritime skills, experiences and traditions through hands-on boat building, workshops, lectures and other activities. It’s an honor to partner with an internationally known historical museum in Portsmouth, which has rapidly become an increasingly popular destination for people from all over the country. If you define luck as something that happens to you through no doing of your own, then I’d say being born and raised on the Seacoast was a stroke of good luck for me. The Seacoast region wouldn’t be what it is today without boats and the craftspeople who built launched and captained them. As a modern-day boat builder, I’m part of the long arch of history that defines this place. It’s been my honor and my good fortune to be part of a far-reaching network of talent, expertise, and knowledge that has challenged me to be a better craftsman and has opened up opportunities to grow, develop and follow my passion. 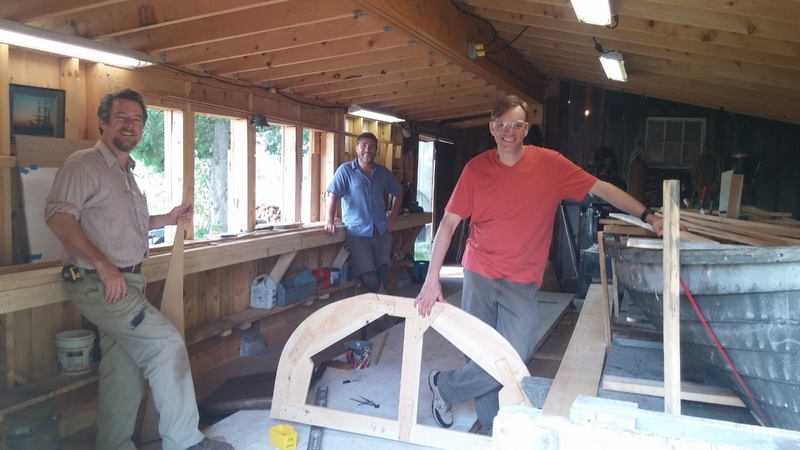 Afterall, it’s this network that has kept Piper Boatworks going strong for 20 years, brought MerryMac designer/ builder Ned McIntosh and I together, and planted the seeds of the Boatshop at Strawbery Banke.